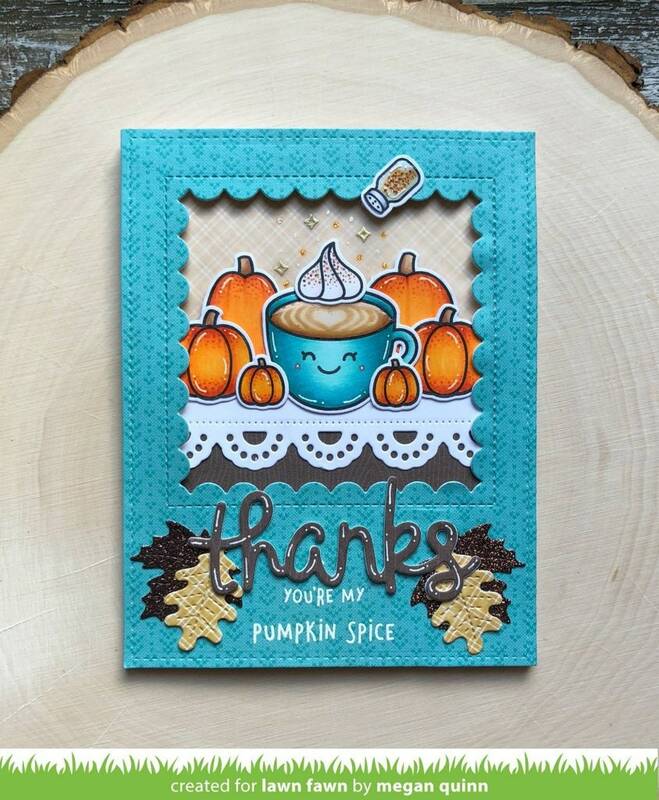 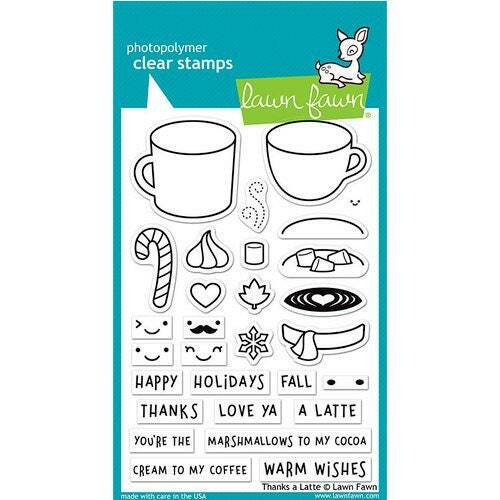 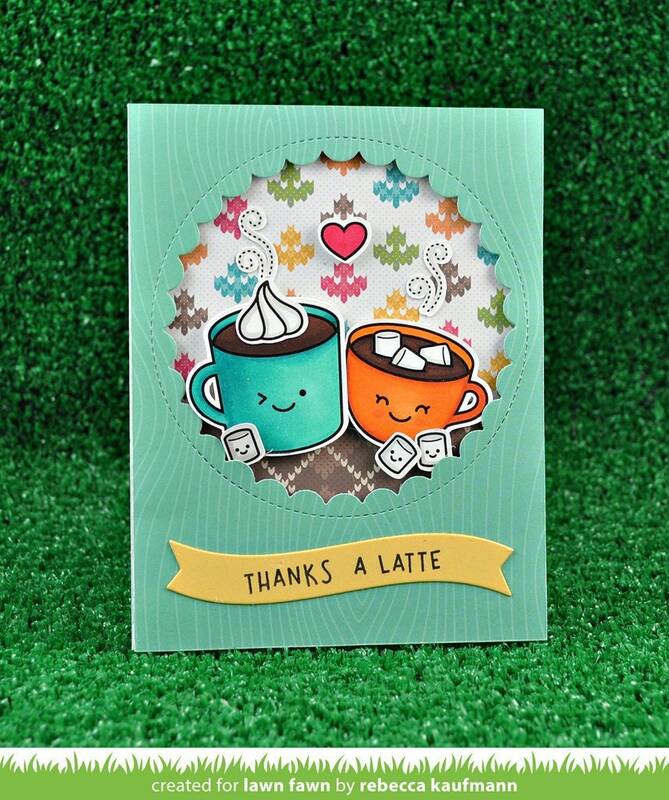 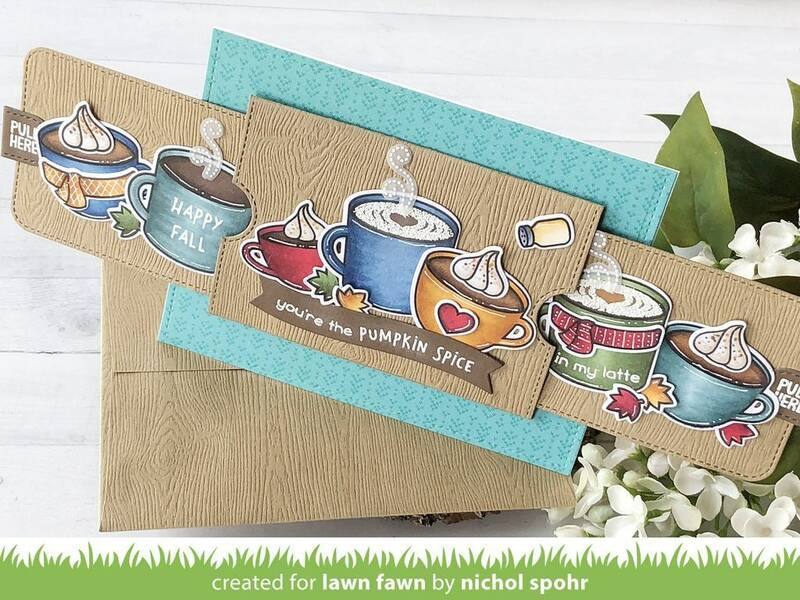 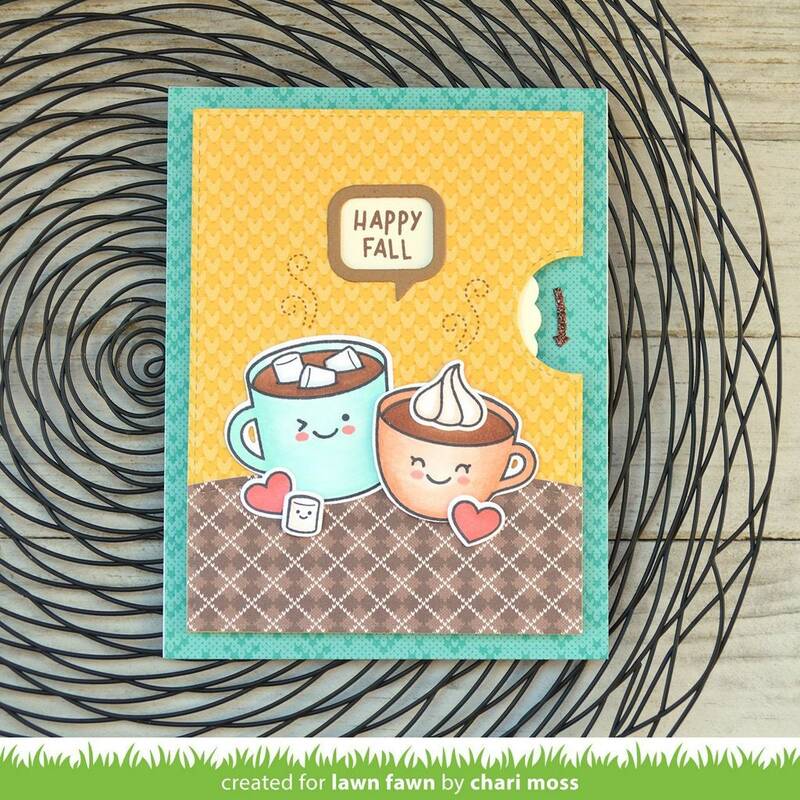 Send a heart-warming card to a friend or loved one during the chilly months with the Thanks A Latte Clear Photopolymer Stamps by Lawn Fawn. 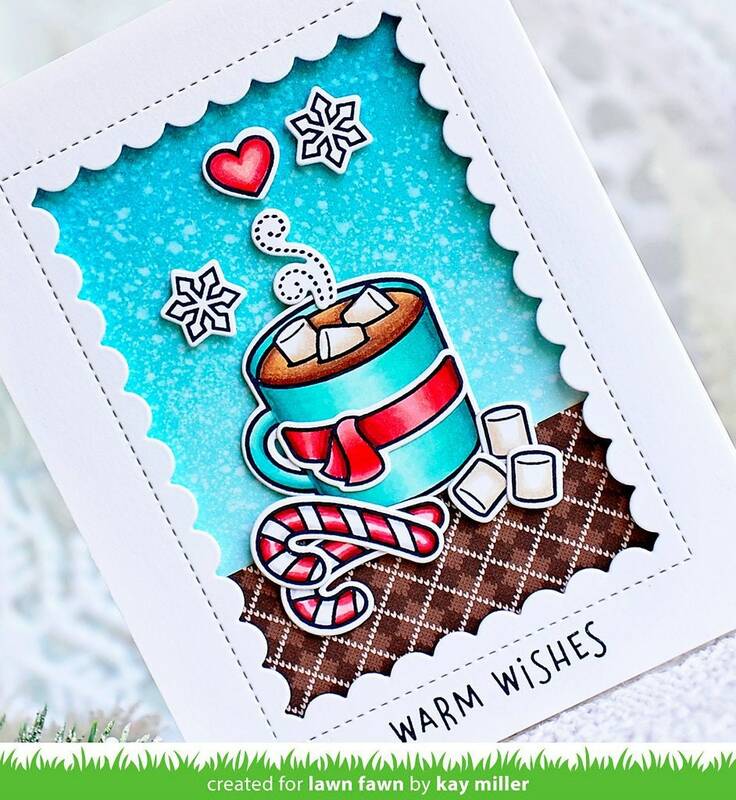 The package includes 29 clear acrylic stamps that feature images including a coffee cup, tea cup, candy cane, smiley faces, expressions including "happy holidays," "marshmallows to my cocoa," "cream to my coffee" and more. 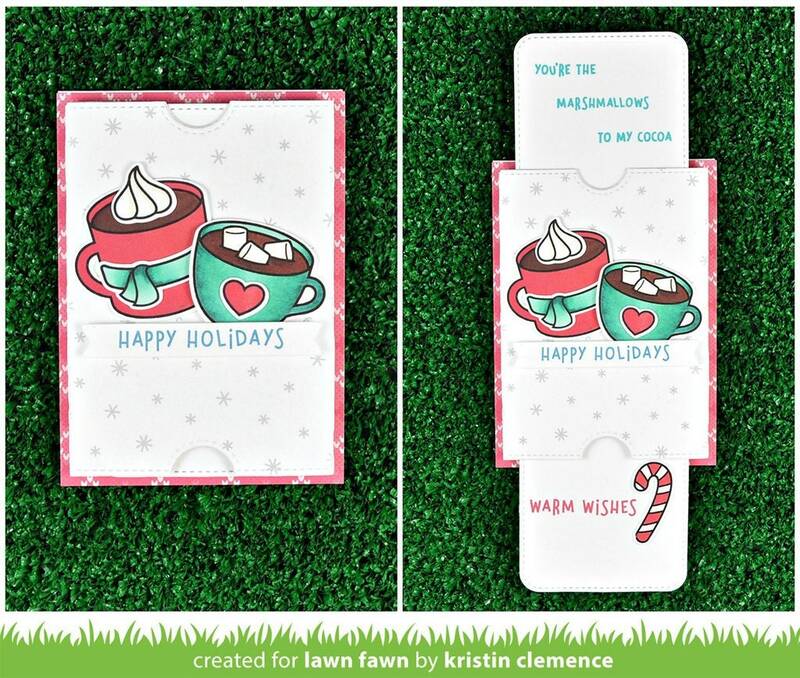 The set is made in the USA.